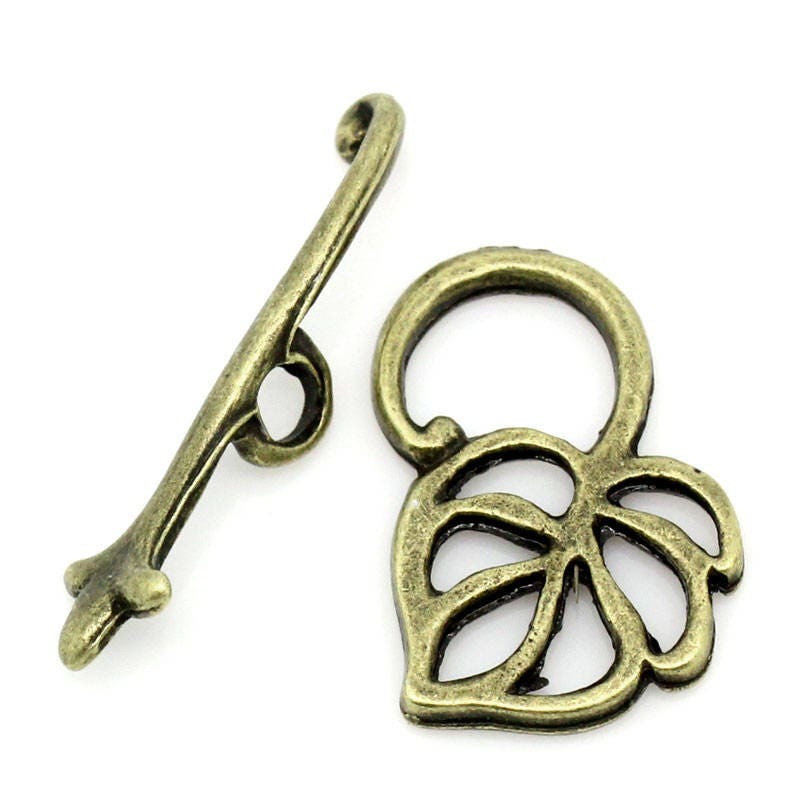 Antique bronze curved leaf toggle clasps. 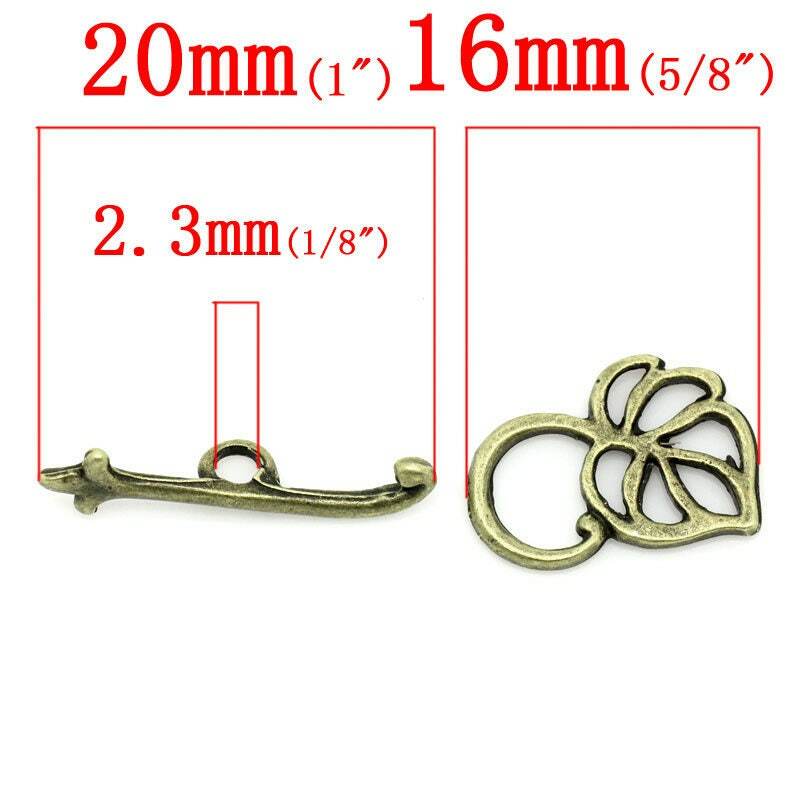 Toggle bar is 20x4mm and the toggle ring is 16x14mm. Perfect for nature themed jewelry. 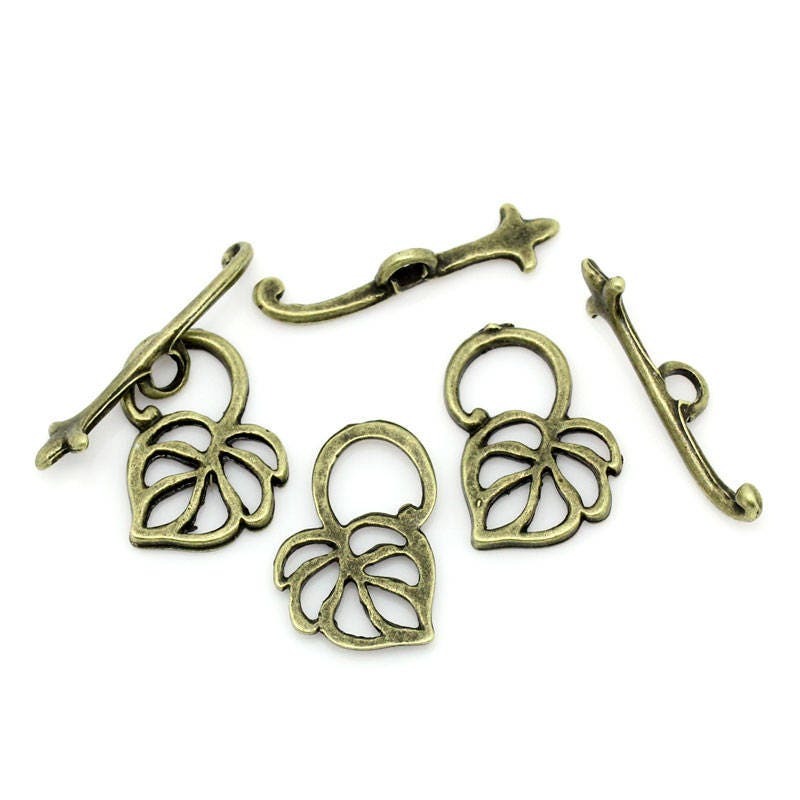 You will receive 5 toggle clasps.